Welcome to the Hallmark School of Real Estate! If you have been considering a career in real estate, Hallmark School of Real Estate will get you off to a great start! Located at 661 Beville Rd Suite 113, South Daytona, FL 32119. Business hours 9 am to 1 pm Monday through Friday. We now have classes available via live streaming! Attend our live courses from anywhere, on any device! 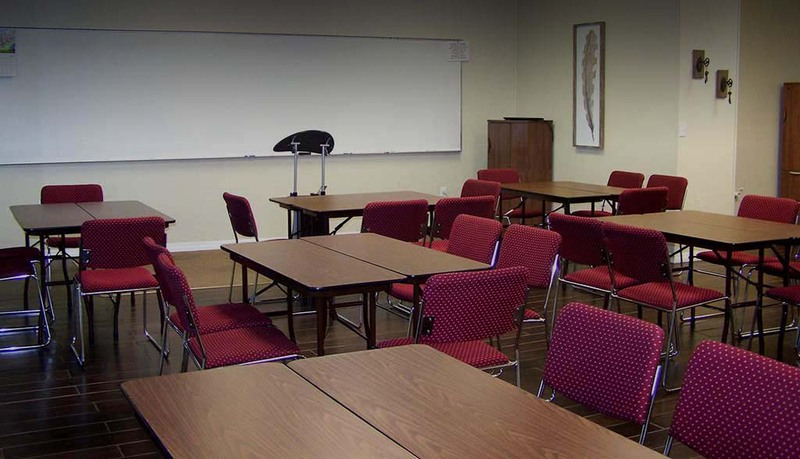 Students can interact with the instructor and ask questions in real time, just as if they were in the classroom. 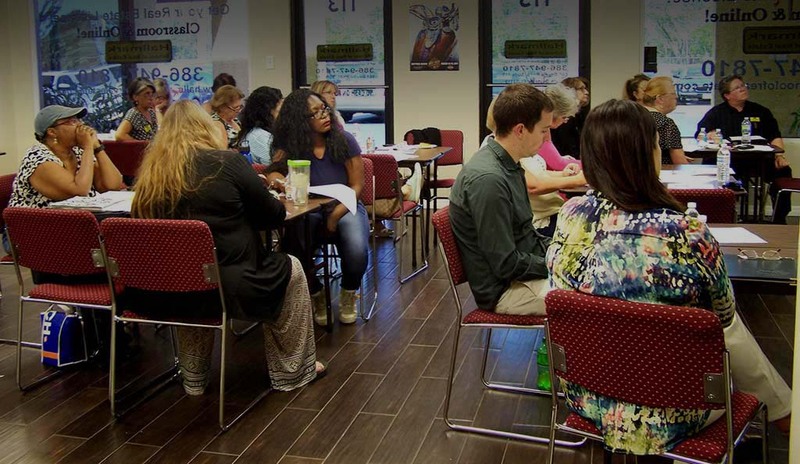 After completing the course, students may arrange to take their final exam in person, at one of 21 locations in Florida or they can choose to take the final exam online, at any time. Students who wish to take the live streaming classes will have two options, which involve the method for taking the final exam. They may take the exam online. Lisa Smith entered the real estate business as a sales associate in 1992 and knew very early in her career that she wanted to become an instructor. 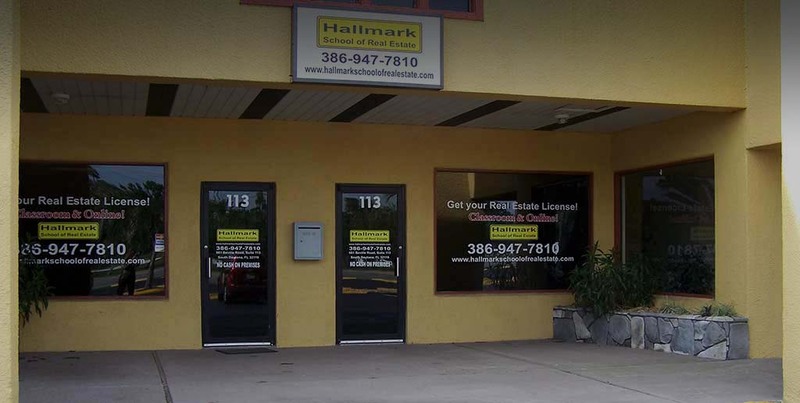 She obtained her broker's license in 1994, and two weeks later received her initial instructor's permit, and was instrumental in establishing Hallmark School of Real Estate in the summer of 2015. 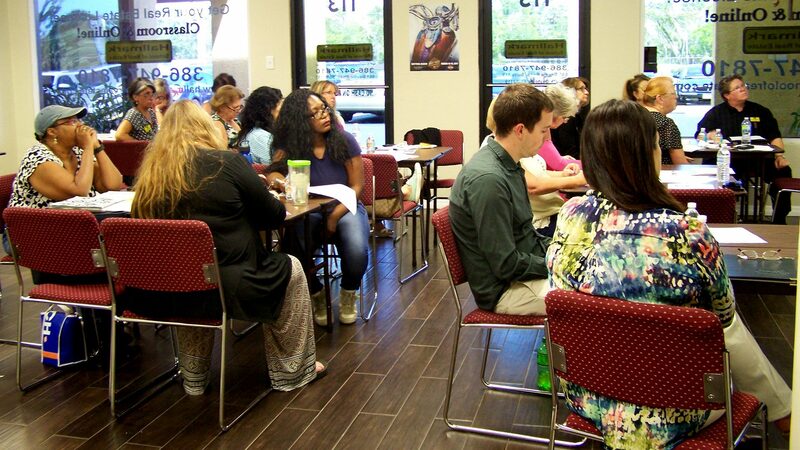 As the Administrator of Hallmark School of Real Estate, Wendy provides assistance to the Instructor as well as helping new students with the enrollment process. She is the first person the students will talk to. Helping them feel comfortable with making the transition into a new career is her top priority. She has worked with the public for over 30 years in various positions from nursing home supervisor to small business owner. She has volunteered for many years with injured and orphaned wildlife and animal rescues. Helping others has always been a priority and helping students start a new path in their lives is a very rewarding part of the position. She has two adult daughters and lives with her husband of 30+ years in Ponce Inlet. Originally from Western NY, Wendy relocated to Florida full time in 2015. She’s looking forward to helping you start the next chapter of your story! Drop us a note and let us know what's on your mind! "I am a graduate of Lisa Smith and I highly recommend her to anyone who is looking to become a real estate agent. I especially like that I was able to go to school on Saturday for 8 weeks. The pace was tailor made for me because I still had a job where I was working Monday to Friday. Lisa is extremely knowledgeable, very personable and very relatable. Attending class once a week allowed me to process all the information, have a very good understanding of the material and it gave me the confidence to "knock" the state exam out on the first try. Given the opportunity, If I could take a class from her to become a broker, she would undoubtedly be my first choice for instruction." "As a former student of Lisa Smith, I can say that she brought her many years of experience into the classroom, and made learning a new skill easy and fun!! I was very confident taking the Florida Real Estate exam because of the great training I received; and passed the first time. I do recommend Hallmark School of Real Estate to people that want to gain knowledge and be successful in Real Estate." "I not only benefitted from her vast knowledge of real estate, but the followup after the course gave me the tools I needed to succeed. With her assistance, I won the company-wide "Rookie of the Year" award. Lisa is the best!!!"